LEGO City Dock Side Fire. 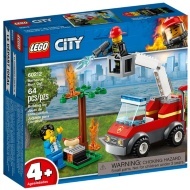 Join the LEGO City Fire crew and help protect the docks! 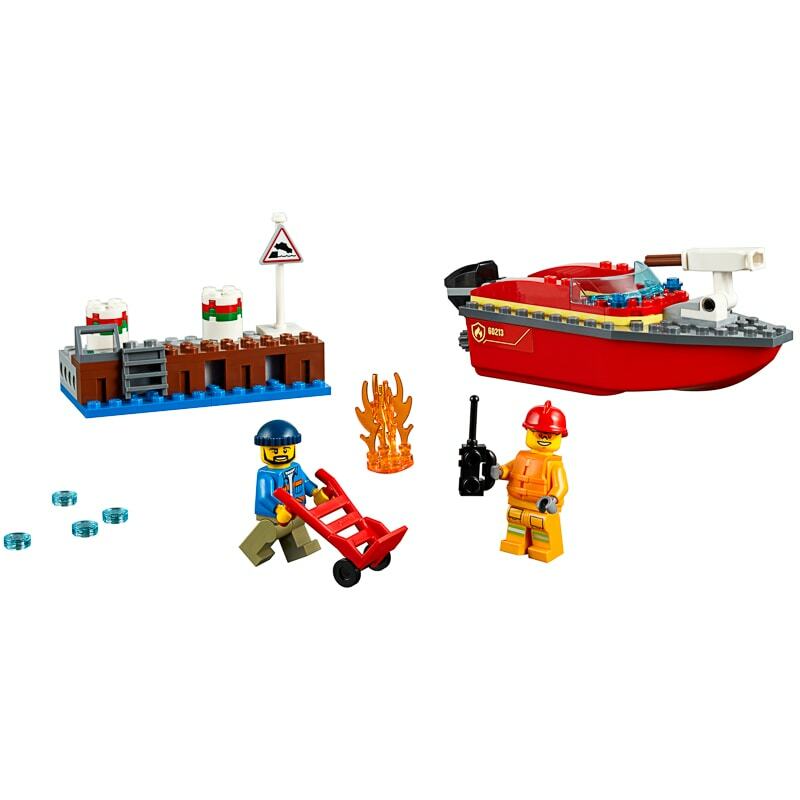 The dockworker has been busy and didn’t see the smoking oil barrel, and now it’s on fire! 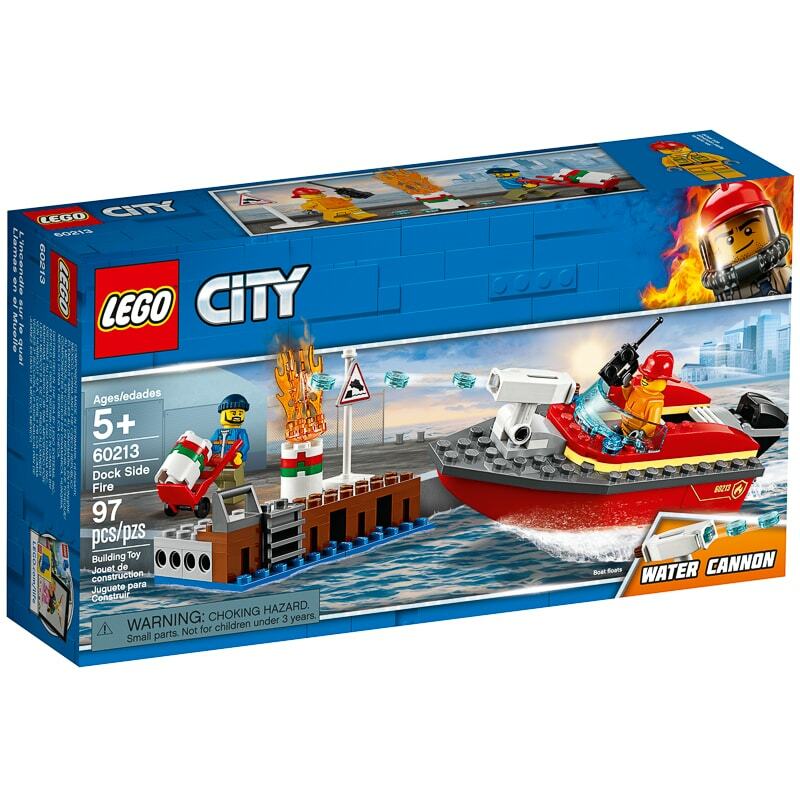 Use your walkie-talkie to call for the fireboat with the water cannon, and then move the other barrel to safety before the boat arrives. Don't get in the way, or you might end up in the bay. It's another exciting day in LEGO City! Browse more LEGO online, and buy in-store at B&M. 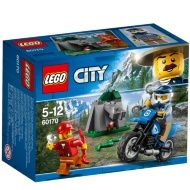 20% off all LEGO toys from 15/04/19-22/04/19. NOW price shown above includes discount. Offer only applies to items from Toys department, other departments not included.